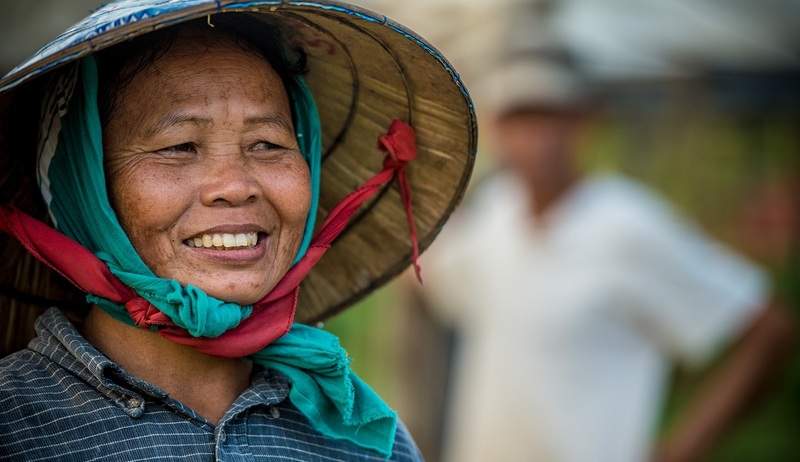 Pilot projects in the Greater Mekong Subregion (GMS) are helping increase small farmers’ income by enhancing their access to the lucrative organic food market using a community-based certification system. The subregion, which comprises Cambodia, People’s Republic of China (specifically Yunnan Province and Guangxi Zhuang Autonomous Region), Lao People’s Democratic Republic, Myanmar, Thailand, and Viet Nam, aspires to become a major supplier of safe and environment-friendly agricultural products, including organic food. To reach this goal, the subregion needs to first put in place globally recognized standards for food production, processing, and distribution. The global market for organic food is estimated at more than $100 billion and continues to exhibit double-digit growth annually. Consumer demand for organic food is rising fast particularly in urban and peri-urban areas because of the health benefits—it is nutritious, chemical-free, and tasty. Organic farming also improves long-term soil health and controls pests and diseases without harming the environment. Most importantly, organic farming is pro-poor as it offers a viable alternative to small farmers in remote areas, where agrochemicals are expensive. Farmers can earn more from organic farming because of lower input costs and higher price of organic products. Farmers however need to follow the standards for production, storage, processing, handling and marketing of organic products. And for a product to be labeled organic, a certification body must verify that it conforms to these standards. For the 200 million small-scale farmers in the GMS, however, third-party certification can be an expensive and complicated process. The Core Agriculture Support Program Phase II (CASP2), a GMS initiative supported by the Asian Development Bank (ADB), introduced the participatory guarantee system or PGS as a low-cost way for farmers to certify their produce. The system certifies producers based on the active participation of stakeholders along the value chain and builds upon a foundation of trust, social networks, and knowledge exchange. It is a credible peer certification system that effectively builds the capacity of smallholder farmers in quality assurance systems and food traceability. The International Federation of Organic Agricultural Movements (IFOAM) provides oversight and guidance on PGS at the international level. To promote consumer confidence in PGS certification, a multi-stakeholder body supported by the government should coordinate governance of the certification at the national level. CASP2 has successfully supported the governments of Cambodia, Lao PDR, Myanmar, and Thailand in implementing PGS pilots in partnership with farmers and the private sector. Over the course of a year, peer inspectors guide farmers through a program based on IFOAM standards and help them identify what needs to be improved for their crops to be certified as organic. Aside from establishing the PGS certification system, the project is also strengthening the capacity of farmers in environment-friendly techniques, such as certified composting, biochar, bio-pesticide, crop rotation, low-methane rice farming, sustainable soil management, rainfall harvesting, and water-saving techniques. CASP2 showed that PGS provides an effective and low-cost way for smallholder farmers to gain certification for organic products using peer-review mechanisms. It also helped link the farmers to new markets and build consumers’ trust in the quality of their products, leading to improved incomes and health of poor farmers. PGS also works as a stepping stone for farmers to gain international organic certification, which is required in the global market. The most successful PGS models are those that actively involve the private sector, which can provide a ready market for organic products. In Thailand, for example, the Ministry of Agriculture and Cooperatives and the Thai Organic Agriculture Foundation worked with food and hospitality enterprises, such as Lemon Farm and Sampran Riverside Resort. The success of pilot projects in Thailand has led the government to promote the scaling up of PGS as a national policy. In 2017, agriculture ministers of Mekong countries have reiterated their support for PGS certification systems as part of a 5-year plan to strengthen agriculture value chains and increase market access for small producers in the subregion. It is expected that mutual recognition of PGS standards among GMS countries will further enhance sub-regional trade and help in attaining the subregion’s goal of becoming a major global supplier of safe and environment-friendly food products.